Yesterday, Amazon made it official — the company has chosen Long Island City (Queens) and Arlington, VA to house its much-coveted HQ2. And, immediately experts everywhere began to peddle their theories about how Amazon moving in could impact the Long Island City — and larger New York City — housing markets. “Although it did not choose Newark to host HQ2, Amazon will still impact Jersey City, and the state of New Jersey, both directly and indirectly,” said New Jersey governor at yesterday’s Jersey City summit for real estate investment as the news broke. Newark, NJ was a finalist. LIC is one of the city’s hottest neighborhoods, with close proximity to Midtown and relatively affordable housing costs compared to the Manhattan and Brooklyn markets. 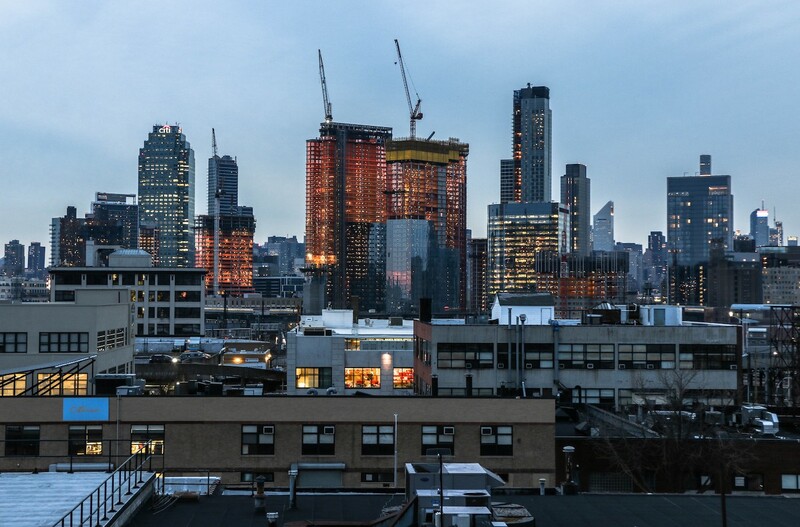 “Even with the addition of 25,000 workers, the real story seems to me that there is no longer an immediate concern regarding overbuilding in the LIC housing market,” Garrett Derderian, director of data and reporting at Stribling and Associates, tells Livabl. Stribling and Associates is a leading New York brokerage. The neighborhood is also one of the country’s hottest market, with the most new apartments delivered post-Great Recession. Some 12,500 units in 41 apartment buildings were completed in LIC between 2010 and 2016, according to the listing site RentCafe. LIC, a former mostly industrial neighborhood, has seen huge amounts of redevelopment and residential real estate investment over the last several years. The area is now a Millennial magnet, boasting a Millennial share of about 42 percent. Typical rents in LIC and the surrounding neighborhoods currently average around $3,000, compared to $4,200 across the river in Manhattan. Homes sell for an average of $635,000, well below Manhattan’s average of $1.9 million. LIC rents and home values rose 4.7 percent and 5 percent, respectively, over the last year — without Amazon’s presence. “While many new employees may want to live in the immediate surrounding area to the Amazon campus, others will want to venture into the other boroughs. This could lead to a trickle-down effect in nearby neighborhoods such as Greenpoint, which is also in the midst of a small construction boom, to more far-reaching areas throughout the city,” says Derderian. Amazon’s news has many New Yorkers on edge about the market experiencing the so-called “Seattle” effect. According to a recent article in Forbes magazine, when Amazon first moved in, Seattle wasn’t close to being one of the priciest housing markets. Post-Amazon, at a median home price of $739,600 and median rent of $2,479, it’s now the third-most expensive housing market in the country. But, Seattle isn’t New York City, and there’s only one Big Apple. The New York City is healthy housing market that has built-in demand supply that is probably sufficient to absorb the bump in demand. “The main difference between Amazon opening a HQ in LIC versus Seattle, is that there is already a baked-in layer of wealth and demand in the NYC market. The impact here will more likely be felt in a high-growth manner on the retail side, where the number of businesses should surely increase as they will have a greater population to serve, a net-positive for the LIC market,” says Derderian. Amazon claims HQ2 will bring “at least” 25,000 jobs with an average salary of $100,000 over the next 15 years and generate over $27.5 billion in tax revenue for the city and state over the next 25 years — plus more than $5 billion in investment over the span of 17 years. In exchange, New York City gave Amazon nearly $3 billion in tax breaks and a boatload of other incentives — including helipads — to open HQ2 in LIC.